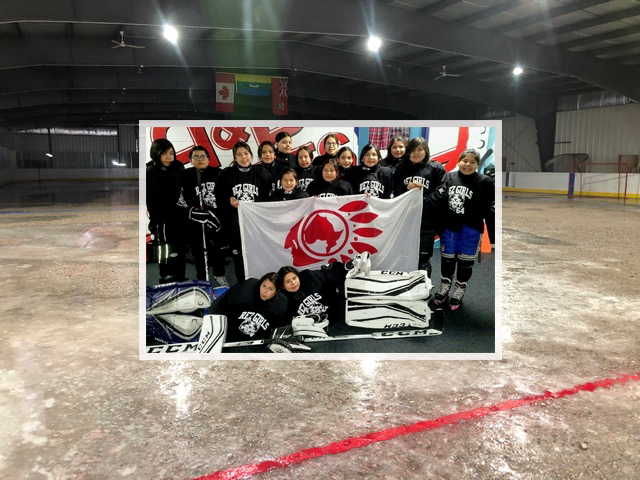 This is an online campaign to crowd-fund an Indigenous girls youth hockey team, the JCY Rez Girls 64 from Eabametoong First Nation (Fort Hope, ON). We have launched our 3,000 For $30 In 30 Days campaign via Go Fund Me. This project will fund a proper cement under-pad for their ice rink in the arena. Currently, there is just a raised pebble bed which is difficult to maintain and shortens their season. We believe that this team deserves the same opportunities as the rest of children in Canada who play sports, especially hockey. This is our own personal, small commitment to Truth and Reconciliation and in the spirit of Gord Downie, to ‘do something’.